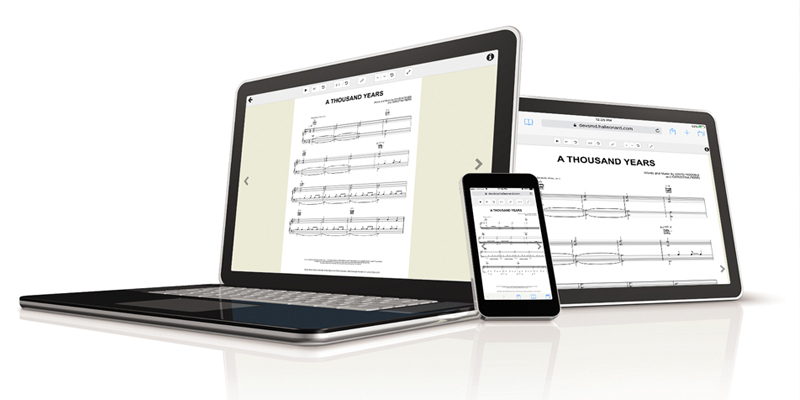 We're happy to announce a major upgrade, one that makes accessing, downloading and printing your favorite sheet music easier and better than ever! SheetMusicDirect.com is now offering Interactive sheets via the state-of-the-art Noteflight Viewer. This new viewer does not require any downloads or plug-ins; it simply works with today's modern desktop and mobile browsers. Additionally, all purchases now include a Print Edition (the official publisher edition). The Interactive and Print Edition files can be viewed on your computer, tablet and smartphone and also downloaded as PDFs. Click here to learn more about these exciting new offerings.